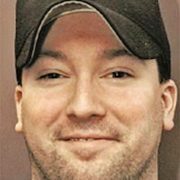 'saratoga living' wades into to the controversy behind how 'The Big Bankroll' reportedly used Saratoga Race Course's premier race to line his pockets. A few years ago, I was obsessed with the HBO series Boardwalk Empire. Set in the 1920s, the show featured several of the Prohibition Era’s most notorious gangsters, gamblers and bootleggers, who were looking to strike it rich in some corrupt industry, all the while avoiding prison time (and enemy gunfire). 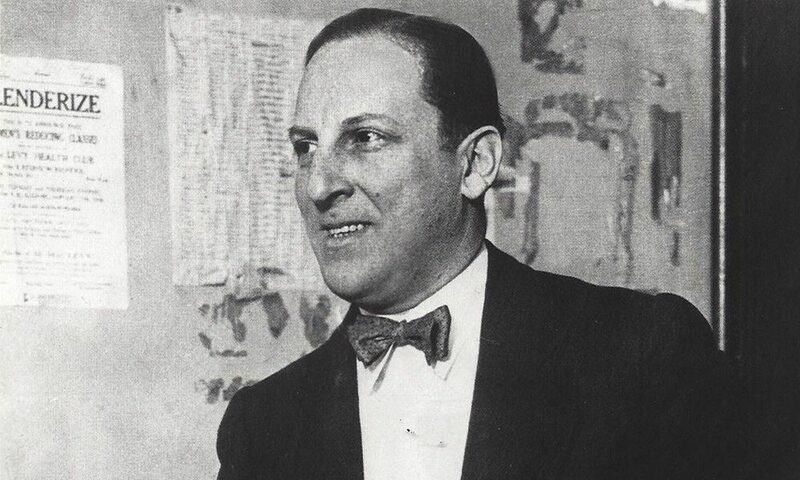 The series showcased the historical-fiction-y likes of Al Capone, Lucky Luciano and Meyer Lansky, but my favorite was the cerebral Arnold Rothstein, known as “The Big Bankroll.” I knew of Rothstein for his alleged role as the architect of the 1919 World Series fix, better known as the “Black Sox Scandal.” What I didn’t know was that Rothstein had his hands in Thoroughbred racing as well. On occasion, Boardwalk Empire made reference to Saratoga Springs, and when one of the scenes featured Rothstein in the stable area at an unidentified racetrack with Hall of Fame trainer Max Hirsch, I had to know more about Rothstein’s connection to the sport and the Spa City. Turns out Rothstein was a player in the racing game for a time, and Saratoga was one of his playgrounds. He owned some horses, manipulated races, cashed enormous bets and drew the ire of August Belmont II and The Jockey Club for his presence at the track. But one of his most nefarious plots occurred in 1921, when Rothstein masterminded a major betting coup on the Travers Stakes with the colt Sporting Blood, one of his own, thanks to some valuable inside information and an assist from a trainer and horse that didn’t even participate in the race. At the conclusion of a whirlwind series of events, Rothstein walked away with $450,000 on top of the $10,275 winner’s share of the purse (more than $5.8 million in 2018 terms). 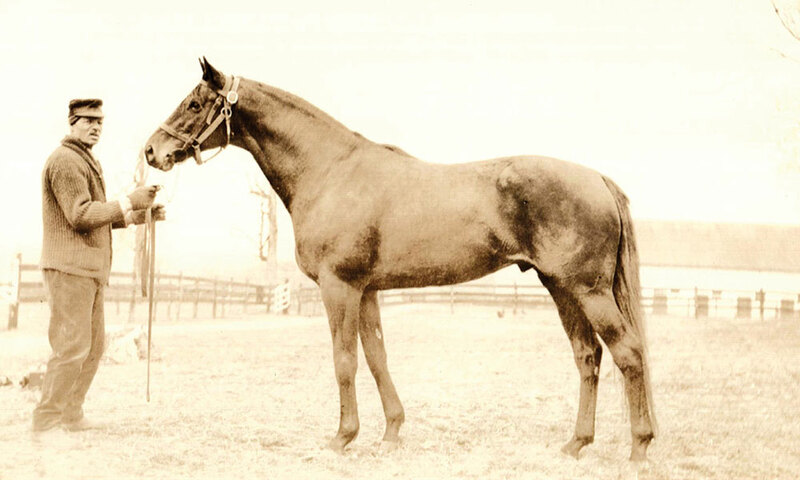 At the ’21 Travers, Harry Payne Whitney’s superb filly, Prudery, was widely regarded as a sure bet. She’d won the Alabama Stakes with ease and defeated Sporting Blood by four lengths in the Miller Stakes. No one figured Prudery could be beat in the Travers, so no other horses of note were expected to be entered and the race figured to be a walkover. Rothstein had other ideas. To the surprise of many, he entered Sporting Blood, under the name of his own Redstone Stable, to face Whitney’s filly. Bookmakers were offering Prudery at 1-4 odds with Sporting Blood at 5-2. Why would Rothstein enter Sporting Blood, for just a meager second-place finish? Rothstein, as always, had an angle. His sources within the Whitney barn relayed to him that it was unlikely that Prudery could deliver a top effort in the Travers; the filly had lost her appetite and had missed some training time. Rothstein saw an opportunity to stir the pot even more by adding a chaotic element to the betting. He sought a distraction to aid his plot and got one: On race day, Belmont Stakes-winner Grey Lag, generally regarded as the best horse in the country at the time, was unexpectedly entered into the race. It turned out that the horse’s trainer, Sam Hildreth, was friends with Rothstein. Suddenly, Sporting Blood was the afterthought Rothstein wanted him to be. Grey Lag had already beaten him in the Belmont and a pair of other races that year. The Travers, however, wasn’t part of Grey Lag’s expected schedule, as it was assumed he was being prepared for a race at Belmont in September after a grueling schedule of six races in July. When Grey Lag was entered in the Travers on the morning of the race, he replaced Prudery as the favorite, and that day, there was little talk of Sporting Blood or any Arnold Rothstein element of manipulation. That’s when Rothstein unleashed his true ruse. He ordered his “betting commissioners” throughout the country to wager heavily—to the tune of $150,000 (about $2 million)—on his horse, which was now the third choice with the trackside bookmakers. At the time, horses could be entered to run the same day until noon. They could also be scratched by a trainer up to 30 minutes before post time, without cause or explanation. Rothstein was well aware of this. Hildreth, of course, scratched Grey Lag at the last possible minute. At the track, the Grey Lag money shifted mostly toward Prudery, while Rothstein’s money was elsewhere, secured at generous odds of 3-1. Whenever word got around that Rothstein was placing bets, it caused an uproar and led to odds being altered dramatically, but it was different offtrack, with the bets spread far and wide to provide the cover of anonymity. In the race itself, Prudery led for the first mile but never by more than a length. When the horses hit the quarter pole, the filly was spent, and Rothstein’s scheme was about to bear fruit. Sporting Blood was a capable runner and cruised past the exhausted Prudery to win, easily, by two lengths. As was the case with the World Series and numerous other shady events involving Rothstein, there was plenty of speculation about the circumstances of the race after the fact, but no one could ever link Rothstein to the scam. There was also a considerable amount of hearsay that Hildreth received a cut of the action for the Grey Lag diversion, but that, too, was never substantiated. That Travers was Redstone Stable’s biggest moment in racing, but Rothstein didn’t seem to have any interest in the prestige of his horse’s victory. Following the race, Rothstein sold Sporting Blood for $60,000 (about $760,000 today) and announced that the rest of his horses were for sale as well. By the end of October, he’d dissolved Redstone Stable and moved on to other illicit endeavors. Rothstein was a presence in Saratoga for quite some time before and after his Travers caper. He married former showgirl Carolyn Greene in a house on Washington Street in 1909, opened The Brook casino here in 1919 and was regularly accused of bribing public officials and being involved in everything from insurance fraud to race fixing. His luck finally ran out when he was shot and killed in New York City in 1928 at the age of 46, supposedly because he refused to pay a gambling debt. I couldn’t imagine Rothstein going out any other way.